AFRICA’S BEST BEACHES – With 2500 km of coastline and dozens of the world’s most beautiful tropical islands, Mozambique offers a stunning variety of white sand beaches and azure seas. Combine that with superb seafood, year-round warmth and the sunshine, and accommodation for all tastes and you’ll understand why visitors keep coming back. INDIAN OCEAN PARADISE – The warm Mozambique current provides a perfect setting for marine activities with world-class snorkelling, scuba diving, fishing, sailing, stand up paddling and other water sports. Sail the islands in sleek modern vessels or experience the magic of island hopping safaris on ancient Arabic dhow craft. RICH ANCIENT CULTURE –Experience one of Africa’s most interesting and vibrant cultures, uniquely shaped by a thousand years of Arab and 500 years of Portuguese influence. The Island of Mozambique and Ibo Island appear frozen in time, with slave forts, beautiful buildings, and ancient crafts still practised. Cultural and history tours on remote Ibo Island provide insights into a living past that has otherwise disappeared. You can even take a traditional dhow safari and sail through the Quirimbas with a guide! HOLIDAY TIPS –The undiscovered Quirimbas Archipelago off the northern coast at Pemba is remote for authentic holidays off the beaten track. Ride horses at sunset on the long beach at Ponto Mamoli, dive with manta rays and whale sharks at Tofo and Barra. Families love the warm lagoons at Bilene and this area is easily accessible for self drive holidays to Mozambique from South Africa. HOLIDAYS FOR ALL–From tiny private islands with helicopter-only access to long white beaches popular with families and backpackers, Mozambique offers authentic holiday experiences for all tastes and budgets. 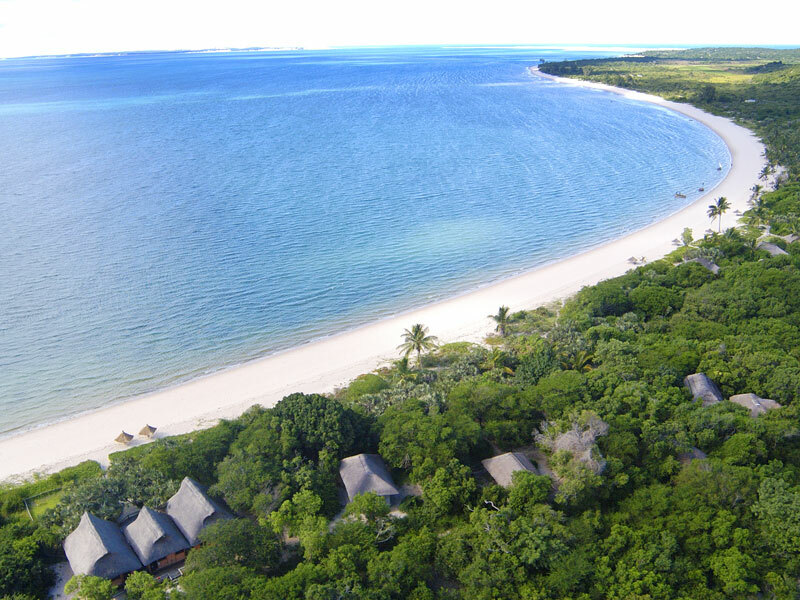 Whether you’re after romantic seclusion, a luxury beach villa stay, party central, culture and history, or game camps in wild Africa – Mozambique has it all. Our favourite island destinations have to be the Bazaruto Archipelago and Quitessential Quirimbas. Stay at lodges like Azura Bengurra and Azura Quilalea for the holiday of a lifetime!